A public health physician and noted public speaker, Dr. Holly Atkinson has devoted her life to the health and well-being of the American public. One of the most recognizable and sought-after public health physicians in the country, Dr. Holly Atkinson helps audiences make sense of the latest medical news. Always candid, never afraid to “tell it like it is,” she guides audiences through the challenges that consumers face today, especially regarding women’s health issues, given the glut of medical information reported in the media. Atkinson sends her audiences home with the ability to be more knowledgeable about their options, and less confused about medical issues currently confronting them. Atkinson has extensive experience as a broadcast medical correspondent, including assignments with NBC, CBS and PBS, and is currently medical advisor to HealthiNation, one of the leading health sites on the Internet. She is Assistant Professor of Preventive Medicine at the Icahn School of Medicine at Mount Sinai in New York and past president of the Nobel Peace Prize-winning non-profit organization, Physicians for Human Rights. Dr. Holly Atkinson, a well-known media personality and a gifted speaker, has engaged audiences on achieving wellness for more than 20 years. She is the senior on-air medical correspondent and chief medical editor of HealthiNation, the leading digital consumer health video network. Atkinson is also assistant professor of Medicine and co-director of the Advancing Idealism in Medicine Program at Mt. Sinai School of Medicine and adjunct professor of Public Health at Weill Medical College of Cornell University. With degrees in both medicine and journalism, she possesses a unique blend of experience and skill—medical expertise, media savvy and business acumen. Atkinson has worked in print, broadcast television and web-based technologies for both consumers and medical professionals and has extensive international business experience. Atkinson has a broad range of experience as a medical correspondent, including assignments with NBC’s TODAY, The CBS Morning News, Lifetime Medical Television and the PBS health show BodyWatch, having jump started her career in TV as a researcher for Walter Cronkite’s Universe Show on CBS. For more than 10 years, Atkinson worked as senior vice president for Lifetime Medical Television. Then, as an entrepreneur, she helped to found and ultimately became president and CEO of Reuters Health Information, Inc., a leading international health news agency. She has recently been a frequent guest on ABC News Now. Atkinson is an accomplished author, having written the best-selling book Women and Fatigue. She wrote a regular health column for New Woman magazine and feature pieces for The South Beach Diet Newsletter. Atkinson has been a resident physician on Dr.Weil.com andiVillageHealth.com, both leading web sites. Atkinson devotes considerable time to a number of not-for-profit organizations and charities. She is past president of Physicians for Human Rights, an organization that shared in the Nobel Peace Prize in 1997 for its effort to eradicate landmines. In 1995, Atkinson conducted a medical mission to Bosnia where she documented the health effects of landmines on civilians. She has also served on the boards of Legal Momentum, the nation's oldest and largest women’s civil rights organization; the American Heart Association and the Society for Women’s Health Research. She has received the National Council of Women’s Young Achievers Award; the Society for Women’s Health Research’s Communications Achievement Award in Women’s Health, presented by then first lady Hillary Rodham Clinton; the Physicians for Human Rights’ Health and Human Rights Award and the Unitarian Universalist’s UN Award for Human Rights. Atkinson has a MD from the University of Rochester School of Medicine and Dentistry and a MS degree in Journalism from the Columbia University Graduate School of Journalism and graduated Phi Beta Kappa from Colgate University with a BS in Biology. She is a fellow of the American College of Physicians and a member of the American Medical Women’s Association. "Good Health" doesn't just consist of the lack of illness and being in good physical shape. Optimal health is only achieved when an individual maximizes five critical dimensions in her or his life. Dr. Atkinson explores these five dimensions of optimal well being, offering practical advice from recent medical research mixed with pearls of wisdom handed down through the ages for improving one's emotional, social, intellectual, physical and spiritual well being. "The Five Keys" is down-to-earth, warm, funny, and inspirational with loads of take home messages for both sexes and all ages. The consumer revolution continues to alter the healthcare landscape. In her presentation, Dr. Holly Atkinson explores the major consumer trends in the marketplace, describes the impact these trends are having on the practice and delivery of healthcare, and discusses the impact consumers' wishes should have on healthcare organizations. Healthcare executives and clinicians have given this speech rave reviews because Dr. Atkinson is insightful in her criticism, funny in her presentation and inspirational about the possibilities for change. With breast cancer one of the leading cancer killers of women, it especially important for today's women to understand breast health and wellness. Dr. Atkinson gives an information and delightful talk on the female breast and how to take care of it! The audience will learn about the normal anatomy and physiology of the breast (who ever taught us? ), the signs and symptoms of common conditions and diseases of the breast and warning signs of breast cancer. Most importantly, the audience will learn how to maintain good breast health, gain an appreciation of self exam, clinical exam and mammography, and learn what steps to take if they note any changes. With over 20 years of experience as a medical journalist, Dr. Holly Atkinson gives a fascinating talk on medicine and the media. She explores the challenges that consumers face today in sorting through the glut of medical information reported by the nation's press. One week the headlines rave about the benefits of antioxidant vitamins; the next week these vitamins are panned. Should you eat butter or margarine, which is best? So, how much exercise do you really need? Should any menopausal woman ever take estrogen? Dr. Atkinson gives practical tips on how to read the medical news and sort through the clutter, and in the process, gives answers to many of burning questions that the health conscious audience is dying to ask. For decades, the medical establishment ignored many diseases of women, conducted medical experiments with only male subjects and virtually failed to recognize the role of gender in healthcare. In this speech, Dr. Atkinson brings the audience up to date on the latest in women's health: what's hot, what's not, what's controversial and what questions women need to ask their doctors. In the question and answer period that follows, she fields questions about the best medical treatments for women, for menopause, osteoporosis and Alzheimer's disease, breast cancer, weight loss, and whether or not vitamins are the secret of good health. Not to be missed. Dr. Atkinson wrote what's now considered the definitive book on the subject. After fifteen years, "Women and Fatigue" is still going strong, and Dr. Atkinson is still getting standing ovations from audiences when she delivers this incredibly inspirational speech. Fatigue is a very real problem for women that, too often, families and physicians fail to take seriously. Dr. Atkinson stresses -- to the great relief of women -- that fatigue is never a figment of their imagination. Most of time, there are several causes of a woman's fatigue and the good news is that something can be done about all of them. Dr. Atkinson shares with the audience the major energy drainers and major energy boosters, and gives countless practical tips on how to tip the balance in favor of the boosters. Every woman will come away from this speech having laughed a lot, and learned a lot not only about how to conquer her fatigue, but how to enhance her life. Although we've made significant inroads against heart disease in the last 25 years, it is still the leading killer of American men and women. Dr. Atkinson shares with the audience the latest facts about heart disease, practical advice about diet and exercise, and ways to manage stress and anger. This presentation can be specifically tailored to women, who still too often believe that only men have heart attacks. In the women-only event, Dr. Atkinson focuses on the role that estrogen plays in protecting a woman's heart, and what we've learned about hormone replacement therapy from the Women's Health Initiative Study. This presentation will be followed by a very lively question and answer period. A decade into explosion of thousands of health website, the Internet still promises to radically shape and reshape the healthcare system where generations of politicians have failed. The Web continues to empower patients today in a way that will lead to significant shifts in how healthcare is practiced and delivered. Information, education, chat forums, support groups, drugs on line, Q and A's with your doctor, advise, purchasing healthcare goods-all this instantaneously at your fingertips. 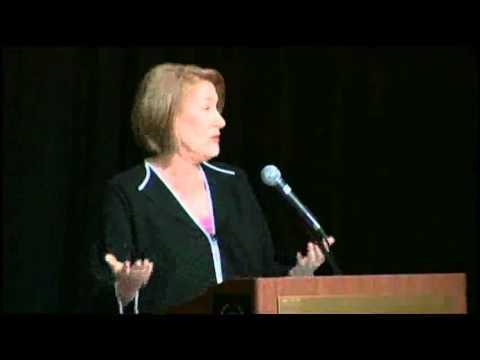 In this speech, Dr. Atkinson explores the world of health on the web and explains how it is continuing to revolutionize the healthcare system. She gives the audience an overview of what's available on the Internet, what's hot and what's not, and how to recognize the good, the bad, and the ugly. She delivers this speech for both a consumer and a business audience. As we enter the 21st century, the belief in human rights as fundamental to life everywhere on the globe has taken center stage. Violations of human rights have a particularly devastating effect on people's mental and physical health. As President of the non-profit group, Physicians for Human Rights, Dr. Atkinson gives a fascinating talk on the intersection of Health and Human Rights. She argues passionately that by protecting and promoting human rights both home and abroad, we can have a major impact on protecting and promoting health: our own health, the health of our children and the health and well-being of our planet. Promoting human rights is not just luxury, but a necessity that is in our own best interest. Dr. Atkinson delivers this presentation for college audiences, business audiences and health care professionals.